The best heart rate monitor for running should be comfortable to wear, accurate, and affordable. It should allow you to move freely. It should also be easy to read without slowing you down too much. There are a ton of heart rate monitors out there, but they typically fall into 2 styles: chest strap or watch. itors, educate you on the available features, and give you a list of the best heart rate monitors on the market. First things first, a heart rate monitor is a piece of equipment that measures your heart rate. Your heart rate (HR) is defined as the number of times your heart beats in one minute. According to the Mayo Clinic, most healthy adults have a resting heart rate of 60-100 beats per min (bpm). Now this is the RESTING heart rate. When we move or exercise, this rate increases because our heart needs to send more blood throughout the body to supply the working muscles. Why should we be concerned with our heart rate while we exercise? Well, it’s a great indicator of how hard you are working. Knowing your heart rate allows you to exercise at an intensity difficult enough to get the desired benefits you are looking for. According to the American Heart Association, we should be exercising at 50-85% of our max heart rate. There are a lot of different equations to determine your own max heart rate. An easy one I learned a long time ago that still seems to work pretty well is to subtract your age from 220. I’m 35, so 220 – 35 = 185. My estimated max heart rate would be 185 bpm. While I’m exercising, my goal should be somewhere between 50-85% of 185: or 93-157 bpm. If you like math, feel free to find your own target heart rate zone. If not, here is a nice resource for finding your own target HR zone. You may be thinking 50-85% is a really big range. I agree. A lot of folks break it down a little more specifically depending on what kind of results you are looking for. 50% of max heart rate would be more for a beginner or for warming up. 60-70% would be more for a “fat burning” workout- this old train of thought may be out dated, but the old thinking was that working out at a moderate pace for prolonged periods burned more fat. Well, the way I look at it, the more intensely you exercise, the more calories you are going to burn, and ultimately the more fat you will lose…ie, the recent popularity of the HIIT workouts. But, if you are doing a fat burning HR workout on a treadmill or elliptical, they are probably using the 60-70% definition. Working out in the 70-85% range would be more intense exercise, or in the “cardio” range. This intensity is where you are going to get the most benefit for your heart and cardiovascular system. Definitely going to burn more calories with this type of activity. This is why heart rate monitors have become so popular. It gives the user an easy way to measure their heart rate, which in turns measures the intensity at which they are exercising. They can ensure you are working hard enough to burn that fat and improve your cardiovascular health. I mentioned briefly above that there are 3 different types of heart rate monitor: chest strap, touch watch, and continuous-reading watch. Let’s take a closer look at each so you can determine which type will work best for you while you run. These HR monitors use a strap that fits snuggly across your chest to measure your heart rate. These devices have a sensor on the underside of them (the side against your skin) to detect the electrical activity of your heart. Very similar to the devices your MD uses to check your heart during an EKG. This signal is sent to a transmitter, usually in the form of a wrist watch, where the reading will be displayed. In order for a chest strap HR monitor to work, you have to wear the strap and the watch at the same time. Some chest strap monitors can also be connected to smart phones through bluetooth. These devices measure your heart rate directly from your wrist. These are also known as optical heart rate monitors. They use light to measure blood flow and determine heart rate. The “touch” part comes from the fact that you have to touch the screen to see your heart rate. Optical HR monitors have gotten a lot nicer and a lot more accurate in the last few years. That said, chest strap monitors are still considered to be the most accurate because they are much closer to the heart and are directly measuring the electrical signal from the source. These models are identical to the touch watch monitors, however you do not have to touch a button to see your results. Your heart rate is continuously being analyzed while you run. These monitors are also worn like a watch. There is no chest strap involved. These machines are a little newer and tend to cost a little more. The accuracy of these optical HR monitors continue to improve. Sometimes movement of the monitor can take away from the accuracy of the reading, but as long as you have the watch snug on your wrist, it shouldn’t be much of an issue. Some monitors give you the ability to preprogram different styles of workout based on the heart rate: cardio, strength, run, walk, etc. The number of zones available depends on the device, many offer 3-6 different training zones. This feature estimates how many calories you burn while you exercise. This is an awesome feature if you are trying to lose weight. These devices make an educated guess based on your HR readings. GPS capability allows you to track speed, distance, and even map out your route. This feature can even be used to measure elevation if you like to hike or trail run. This is a great feature for runners. It’s also really helpful if you like to explore and run new routes- the GPS functions are many monitors will make sure you find your way back home. This mode records the amount of time it takes your HR to return to it’s resting level after you finish exercising. This is another good indicator of fitness. The shorter the time, the more fit you are. A lot of HR monitors these days can connect to your tablet or smart phone via bluetooth. This allows you to record your workout stats easily and chart your progress. Many monitors are compatible with multiple workout apps. Some devices will alert you if you fall out of your target zone. They act as your very own personal trainer while you run to keep you working hard enough to keep your heart rate in the zone. Some also have visual aides, like colored lights or messages to keep you motivated. Activity trackers monitor your movement throughout the day. This includes keeping track of your steps taken, active times, rest times, and sleep. They can also be set to different sport modes to more accurately track data while you cycle, row, hike, etc. Fitbit is a very popular manufacturer of activity trackers. Many high end HR monitors also provide activity tracking. These are just a small sample of some of the available features on HR monitors these days. With all of the new technology coming out, the available features will continue to improve. It’s important to consider what features are important to you. There is no need to pay more for a bunch of fancy features you aren’t going to use! The Polar FT7 is one of the highest rated chest strap monitors you can find. Users love it for it’s accuracy and it’s comfort. As a chest strap monitor, it’s able to provide pin-point accuracy continuously as you run. Remember, these monitors are tracking the electrical activity of your heart to calculate you rate. 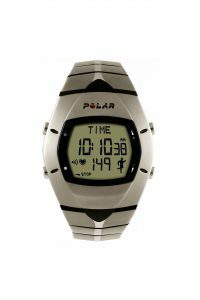 The Polar FT7 includes both the chest strap and the watch monitor. No need for you to buy anything separately. A nice thing about the chest strap is that it is made out of a soft fabric. Some chest straps are made of tough rubber which can be uncomfortable as you run. This soft fabric strap will easily conform to your body and move with you without pinching or chaffing. This device can also keep track of how many calories you burn as you run. It estimates calories burned based on your heart rate during exercise. Another feature you will enjoy is the “energy pointer”. This feature tells you how much time you are spending in the “fat-burning” zone and the “fitness improvement” zone during your workout. This will come in handy if you are running to try and lose some extra pounds. Overall, the Polar FT7 has become one of the most popular HR monitors for it’s price and easy to use, accurate measurements. This monitor would be great for running because of how comfortable the fabric chest strap is. The Wahoo TICKR takes a slightly different approach to heart rate monitoring. You buy the chest strap and it connects with your smart device to display your heart rate. This monitor is compatible with pretty much every smart phone/tablet/fitness app you’ve ever heard of, so compatibility shouldn’t be a problem. Just know that to use this chest strap, you will need to use some type of smart device to access your data. The TICKR uses bluetooth and ANT+ to communicate with different devices. If you aren’t familiar with ANT+, it’s basically just another form of wireless communication technology that a lot of exercise monitors use. Click here for more info. But the takeaway here is that this chest strap uses BOTH technologies- this means it is compatible with iPhones, Androids, GPS watches, and cardio machines. This monitor will also calculate calories burned and determine your training zones when paired up with a compatible fitness app. This heart rate monitor would be great to track your running stats because the strap is elastic and adjustable, one size fits all. With this comfortable strap you won’t have to worry about irritating your skin while you run. The TICKR is the HR monitor of choice for the defending champions of the Tour de France, that’s pretty cool. This device works very well for calculating HR and is super compatible, but if you are interested in more advanced running analytics (i.e. cadence, vertical oscillation, etc) you may want to check out the TICKR Run. This is a great device if you are currently (or willing to start) using a smart phone or smart watch device. If you are not interested in using a fitness app to record your stats, this is not the HR monitor for you! The Wahoo TICKR needs to be paired up with a smart device so you can see and record your heart rate. With the FT60, Polar added a few more features to turn this HR monitor into more of a personal trainer. I’m more fond of the the monitors that have a watch display as opposed to the smart devices- I don’t know, anytime I can get rid of the phone for a while I think it’s a good thing. So I really like that the FT60 can track so many stats and offer fitness data from a wrist interface. The FT60 tracks HR of course, as well as calories burned and fat burn percentage. This will come in very handy if you are exercising with the goal of weight loss. This monitor will really help you stay inside that “fat burn” zone during your run to ensure you are burning as much fat as possible during your workout. This monitor also has a built-in fitness test to help you track your progress over time. You perform a 5-minute fitness test and the device can measure how long it takes your HR to return to baseline. As you become more fit, your time should be faster. The Polar FT60 also has a STAR training feature that creates weekly workout plans for you. It sets time, calorie, and intensity goals for you to meet during your workouts. As you meet them, it adjusts to make them progressively harder. You could have your own personal trainer encouraging you to work harder right there on your wrist. This is a great monitor if you are looking for a few more features in your device. The training programs can be helpful if you need a little encouragement during your workouts. With an average rating of 4.0/5, the Polar FT60 is one of the most popular heart rate monitors on the market. Garmin, like Polar, produces several different HR monitors, but this one is designed specifically with runners in mind (as the name implies). This HR monitor is a great choice for serious runners that are looking to improve their form. If you are a casual runner just looking for a HR monitor, this device may give you a little more info than you need. That said, it will still deliver exceptionally accurate HR results. Along with measuring your HR, the HRM-Run will also analyze your cadence, vertical oscillation, ground contact time, ground contact time balance, stride length, and vertical ratio. I’m not going to pretend to know what all of that means, but as you can see, this device is sophisticated enough to sense several different aspects of your running pattern. For serious runners, this can help you improve your running mechanics in a few different ways. This monitor may be able to help you adjust your pattern enough to make you a more efficient runner. 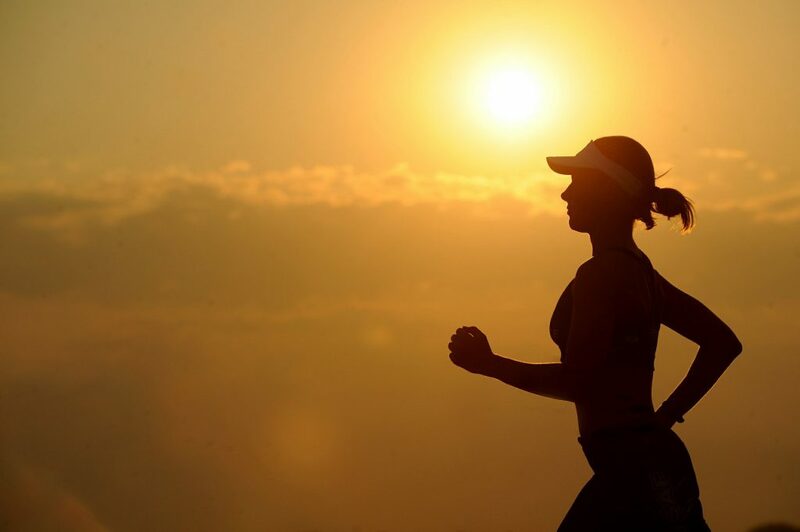 If you are spending too much time in the air (away from the ground), you may be expending too much energy that could be used more effectively if you take some of the “spring” out of your run. Stride length is another key quality this device can help you adjust. Increasing or decreasing your stride length can definitely effect your speed and energy expenditure. Most folks that use the Garmin HRM-Run appreciate how comfortable the chest strap is. There are few complaints about comfort or skin irritation. Again, this device is designed specifically with running in mind. Garmin was wise enough to include a comfortable strap. This device uses ANT+ to communicate with other Garmin devices. You will need a watch interface to see the HR stats in real time. Amazon offers several affordable bundles that include the HRM-Run. If you are a serious runner looking to improve your form, this could be the perfect HR monitor for you. I’ve always been a fan of Timex sports watches- dependable, affordable, easy to use. The same could be said about their HR monitor here. It doesn’t offer a lot of fancy metrics or features, but it does provide a very affordable HR monitor that will give you an accurate reading while you run. This chest strap, like all, needs to be kept moist in order to ensure an accurate reading. You can use a little aloe vera at the beginning of your workout and that should work well. As you start sweating, it will stay wet and continue to provide good HR readings. This HR monitor is nice for running because the display is large enough to see as you move. No need to lose momentum during your workout by stopping to check your HR. Being Timex, of course they included a watch. But that’s really the only other feature this device includes. Like I said, it’s as simple as they come, but if you are only looking for a HR monitor that does just that (tracks HR), you may not have the need for a bunch of other additional features. You can save yourself plenty of money by skipping the advanced options. Overall, this is a decent, simple HR monitor that isn’t going to break the bank. This would be a good HR monitor for beginners or recreational runners who are not looking for any advanced capabilities from their device. We are now entering the watch style HR monitors. These are a great option if you don’t want to worry about wearing a chest strap. The technology on these monitors is getting better all the time, so accuracy really shouldn’t be an issue on these high quality optical monitors. The Garmin Forerunner 235 leads the pack with all of the features it offers- it’s a runner’s best friend. The Forerunner 235 is a GPS running watch. This means it can track your route to give you an accurate reading on the distance you ran. The 235 can also track calories burned, cadence, pace, and time (and HR of course). What sets the Forerunner 235 apart from all of the other HR monitors discussed so far, is the fact that this device also acts as an activity tracker. That is, it is tracking your steps taken during the day, your resting HR (continuously), and your sleep patterns. This monitor also automatically uploads all of your data to the “Garmin Connect” app where you can store daily data, chart progress, and much more. This makes it very easy for you to keep track of all of your miles, times, and calories burned from day to day. This will help you set daily or weekly goals to keep you working as hard as you wish to. As you can, the Garmin Forerunner 235 has a lot to offer. It’s a great HR monitor for runners as well as anyone looking for a nice activity tracker. The combination of GPS, HR monitoring, and activity monitoring makes this device tough to beat. Fitbit has been in the activity tracking game for a while. With the Charge 2, they have developed a pretty sophisticated HR monitor as well. The Charge 2 will track all of your steps during the day as well as give you a continuous reading of your resting HR. Set it to run mode, and you can easily track your pace and distance through connected GPS with your smart phone. The Charge 2 is a touch watch monitor, so you do have to tap the screen to see your HR. This shouldn’t be any issue during your run however, because the touch screen is sensitive. The Charge 2 is very small and light weight. The screen is small, so if you are looking for a large display you should probably consider another monitor. The continuous HR monitoring makes it great for comparing resting HR to your active HR during exercise. This will also give you a much more accurate estimation of calories burned. The Charge 2 also gives you simplified HR zones during exercise: fat burn, cardio, and peak. This makes it easy to know which zone you are in while you workout and lets you know if you have to step up the intensity to get your desired results. This tracker also measures sleep patterns based on heart rate. This device will even tell you to relax and breath deeply during the day if your heart rate starts to rise (indicating stress). That’s a nice feature, most of us aren’t breathing deep enough as is. Overall, the Fitbit Charge 2 is a wonderful HR monitor as well as activity tracker. This device gives you more features than a standard HR monitor, but doesn’t cost as much as a more advanced smart watch. This is also the most popular HR monitor on Amazon- it’s boasting an average rating of 4.2/5 with over 14,000 reviews! Click here to read the full review on the Fitbit Charge 2. The Tom Tom Spark 3 is another GPS watch with HR monitoring capabilities. The Spark 3 will also double as an activity tracker, giving you the ability to record steps taken, calories burned, and distance traveled. This device will also monitor your sleep cycles to show you how much time you are spending in deep sleep based on your heart rate. The Spark 3 is a true sports watch. It has different sports modes you can set to give you more accurate readings based on the movements associated with that sport. This activity tracker/HR monitor is priced a little better than the Fitbit Charge 2. It also has more advanced GPS capabilities. If you are looking for a HR monitor that can track your route and give you accurate distances and times during your run, the Spark 3 might be a great fit. You can even preload a route into the Spark 3- this is a great feature if you like to explore and run new routes you are unfamiliar with. You can run confidently into the unknown when wearing the Spark 3, it will make sure you find your way back. The Tom Tom Spark 3 is a great HR monitor for the runners looking for GPS capabilities. This is one of the more affordable GPS watches on the market and users have very positive things to say about it. This is also a great choice if you like to bike or swim too, it can keep up with you regardless of what activity you are doing. The Suunto Spartan Trainer is a sleek, powerful optical HR monitor that is designed to give accurate readings during your workout. This device also tracks your HR 24/7- this is nice because it records your resting HR during the day and compares this to your max HR during exercise. The Spartan Trainer can use this data to determine your recovery time and gauge your fitness level over time. This is a great tool to use to see how your fitness is improving as you progress your training. The Spartan Trainer is also a GPS watch. Similar to the Tom Tom Spark 3, it’s GPS capabilities are pretty advanced, giving you the option to create your own routes. It has special functions to make sure you easily find your way back home if you like to explore while you run. As a GPS watch, this device will be able to accurately track your distances and paces, as well provide maps and popular hiking routes- I told ya this thing was advanced. This HR monitor is great for running, but it also works well with cycling, swimming, hiking, and more. This watch has over 80 different sport modes you can access. Like most top quality activity trackers, the Spartan Trainer also has it’s own fitness app you can connect to to track all your data. You can even look at 7 and 30-day activity trends. This monitor will also track your sleeping patterns, telling you how many hours you are sleeping as well as what your sleeping HR is during the night. Nice features to have if you like to track sleeping habits. The Suunto Spartan Trainer is another great HR monitor for running, especially for the trail runners out there. The GPS capabilities are quite advanced. This device is a little more expensive than the Tom Tom or Fitbit Charge 2, but well worth it if you are looking for great GPS tracking. The 935 also has a new “Training Status” feature- this feature tracks your workouts over time and uses this info to evaluate your current workout. It then reports to you whether you are training productively, peaking, or overreaching. This is a great feature for you if you are training for a race. Using your HR data, it will cue you to push yourself a little harder or back off a little if you seem to be tanking out. The Forerunner 935 also shows smart notifications from your phone- calls, texts, calendars, etc. Like all fitness trackers these days (and everything else is seems), the 935 can connect to the free Garmin app to store data, track data, share data. This device is completely customizable with use of apps and different widgets. This is fun if you enjoy social media because you can share your workout stats with friends. Maybe start a little friendly competition? The Forerunner 935 is also great for running because of how lightweight it is. It only weighs 49g. It also has a large, easy to read display screen. For those of you who love the idea of running without a chest strap, the Forerunner will work just fine as is. If you would like more advanced HR and cardio tracking, you also have the option of pairing this device with a chest strap. It has a lactate threshold feature and a HR stress test feature you can try if you do use a chest strap. Overall, the Garmin Forerunner 935 is a premiere HR monitor with many advanced features. It is a great monitor for serious runners looking to improve their form or runners who are really interested in tracking their fitness progress. Any way you look at it, this is an awesome product. Running is a great exercise with or without a HR monitor. When used properly however, heart rate monitors can help you take your fitness to the next level. Your heart rate is a direct, objective measurement of how hard you are working. Knowing this allows you to fine tune your workout to ensure you are achieving the benefits you want to achieve. We discussed what a heart rate monitor is and what it can do. We also reviewed some of the available features you will see mentioned when shopping for a HR monitor. It’s always a good idea to know what to look for before starting the purchase process. Knowing what is offered ahead of time will give you a better idea of what to look for. Also lets you decide what features are most important for you. Ultimately, that’s what it all comes down to. What are your goals and why are you looking for a HR monitor in the first place? Answering these questions will also help you narrow down your search and find the right device. All of the above devices would make great HR monitors for running. I would suggest you first decide whether you want to use a chest strap or not during your runs. This will help you narrow your search immediately. After that decision, take a look at the features offered and compare prices. I would also highly recommend you read over the user reviews for any products you are interested in. Read both the positive and negative ones. See if there are any underlying themes. All of these products made my best of list because they are all very highly rated by users, but no heart rate monitor is perfect. The key is finding one that will meet YOUR needs perfectly. I hope you enjoyed this article. If there are any questions or concerns, as always please leave a comment and I’ll get right back to ya. Very nicely written! Fitness trackers and HR monitors have always interested me, and this article combined some of my favorite products into one spot. Garmin and Fitbit are some of the best brands, although right now I have the Samsung GearFit 2. Even though I see the benefits of chest straps, I personally prefer not to use them (mostly due to the extra hassle). Anyway, thanks for the great read! Thanks for reading sarah. I agree with you on chest straps- I would opt for a monitor that doesn’t use one. The watch based HR monitors have gotten pretty accurate these days so it’s not worth the extra hassle for me either. I have used a strap heart rate monitor when exercising but never a watch type. 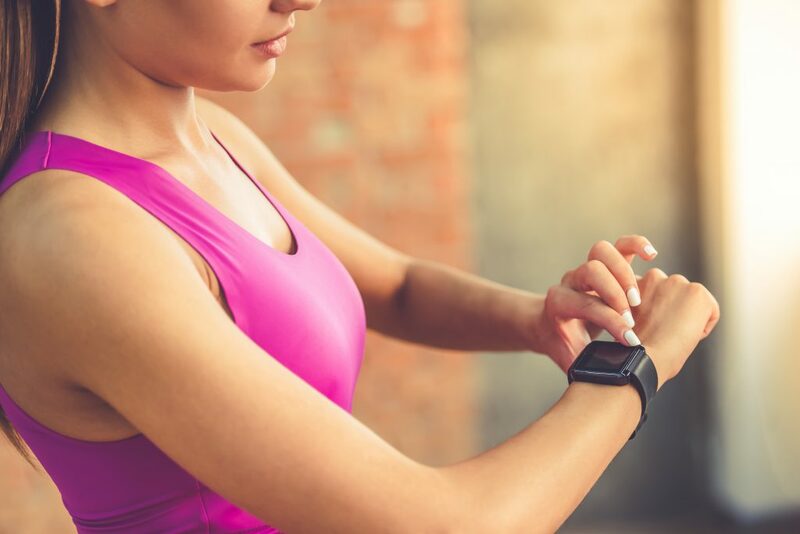 Do you think it’s better to have two different types, a strap monitor for exercising and a watch one for the rest of the day? I just don’t think I would like wearing the chest strap monitor all day. great question Rick. I agree, I wouldn’t want to wear a chest strap all day, especially at work. Also, chest straps have to be moist in order to get an accurate reading. So I would recommend a watch based HR monitor if you are looking for something to assess HR during the day, one of the activity trackers would work well because they will keep track of all your calories and steps as well. Chest strap monitors are great if you are looking for the most accurate measurements during exercise. Heart monitor are awesome and can really give you some useful insight that you wouldn’t ordinarily get from traditional running/exercising. You nailed this article great job! I own two heart monitors and use them daily. Thanks, I appreciate it. Heart rate monitors can be very helpful in gauging your exercise intensity. It’s good to hear that you use yours so regularly.